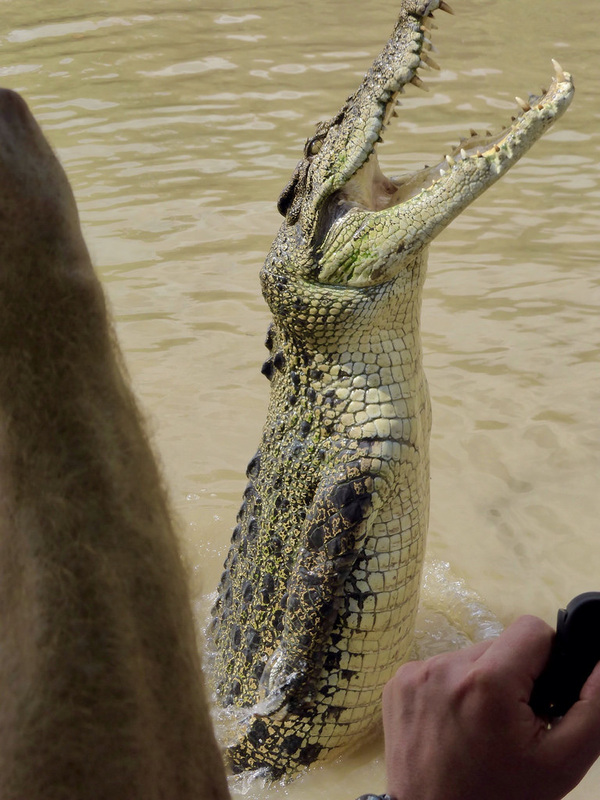 Australia - Photos - Where in Our World? 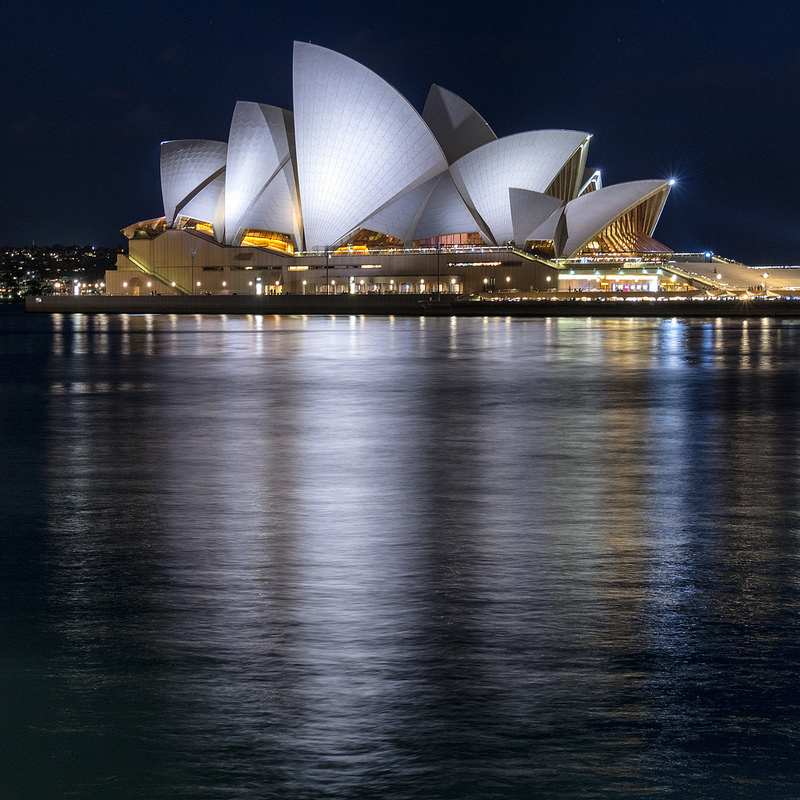 It has some iconic buildings such as the Opera House. 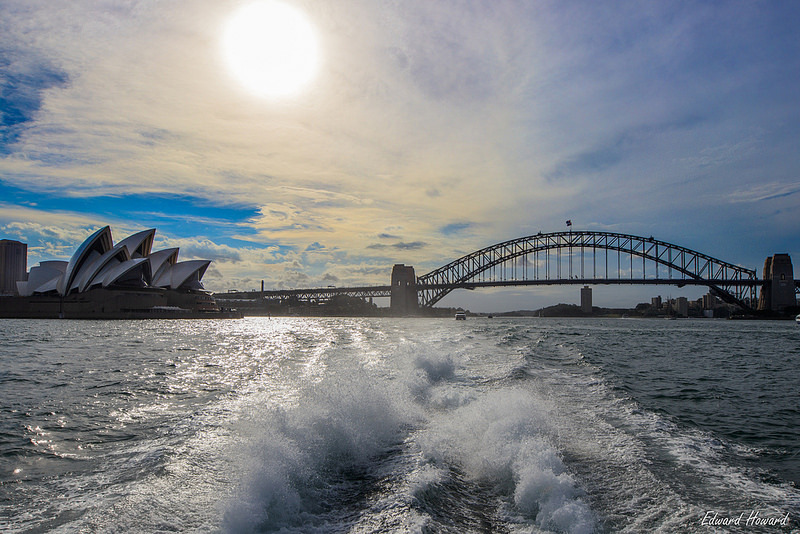 Sydney Harbour Bridge is another iconic image of Sydney. The Blue Mountains are so named because in the heat a fine mist of eucalyptus oil is released into the air. It looks like a blue haze from a distance. This area has a vast tropical rainforest. You can travel to Kuranda by train and travel over the rainforest the Skyrail Rainforest cableway. There are many beautiful national parks in Australia. There are lovely waterfalls in Litchfield. 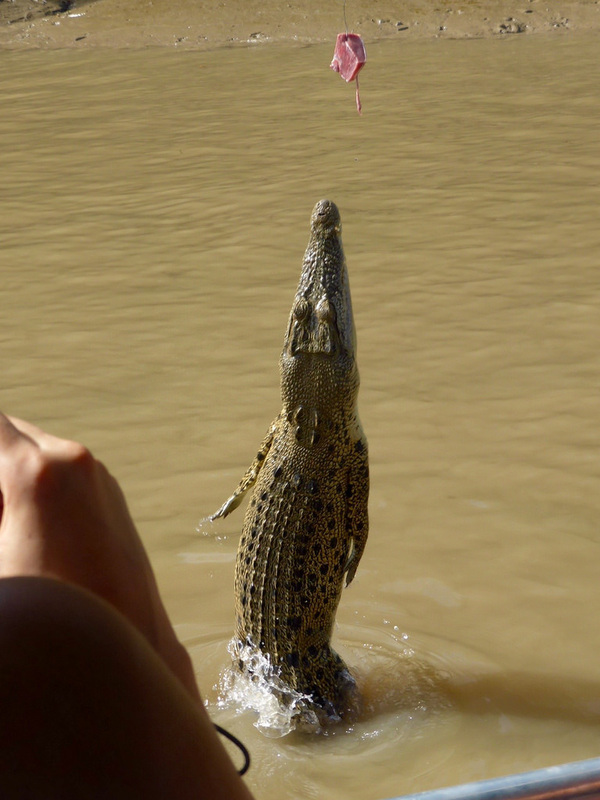 Kakadu National Park covers a huge area. It is full of interesting things to see. Look closely at the pictures below to see some interesting creatures. 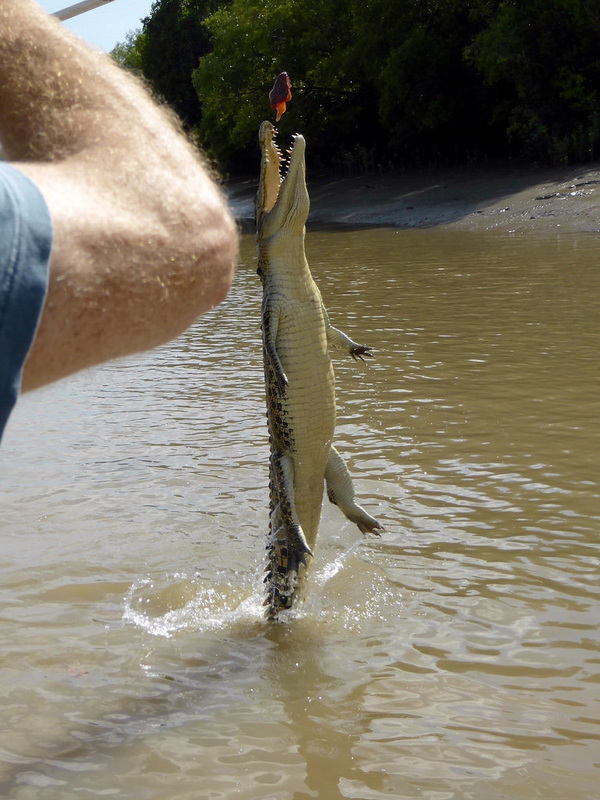 Crocodiles in the river are fed. They jump out of the water to get the food. The walls of Kings Canyon are over 100 metres high. Kings Creek lies at the bottom of the canyon. Take a look at the photographs taken from a helicopter which flew above Kings Canyon. Melbourne is another big Australian city. It is in the state of Victoria. Tasmania is an island off the coast of Australia. It looks tiny in comparison to the rest of Australia but is nearly the same size as Republic of Ireland. Perth is in Western Australia. It is a very isolated city. Its closest city is Melbourne. It is closer to Singapore than it is to Darwin or Sydney. It still takes three days to get by train from Perth from Melbourne! Rottnest used to be a prison. However, it is now a nature reserve. The most famous animal in Rottnes is the quokka. There are a lot of unusual roads signs in Australia to warn people to be careful while driving. 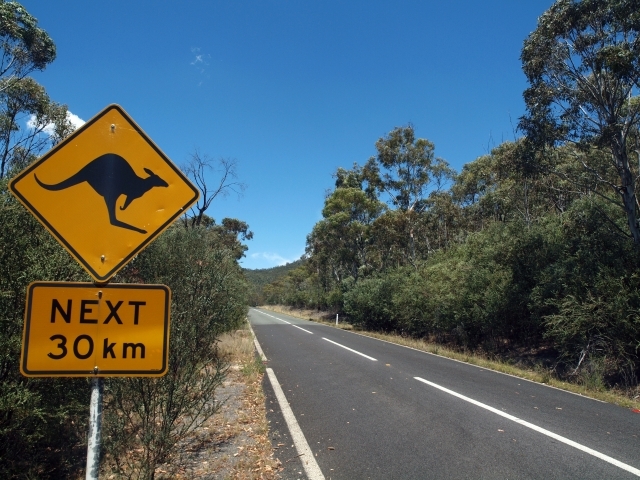 This is a sign to warn drivers that there are kangaroos in the area. This is a sign to warn drivers that there are cassowaries in the area.